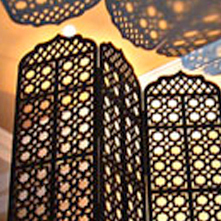 At the forefront of innovation WeDisplay provide Laser Cutting technology for clients who constantly strive to be different. 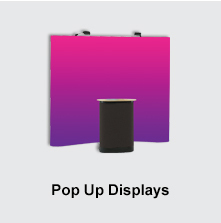 WeDisplay can cut any design out of any material including wood, plastic, brass, aluminium and card. From a 3D Christmas Card or invite to a bespoke piece of sculpture or exhibition graphics laser cutting can deliver a creative product which was not possible a few years ago. 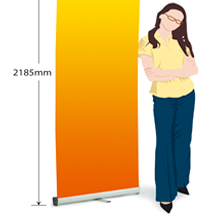 WeDisplay provide innovative print processes and ideas to deliver something different and to help make the customer stand out. 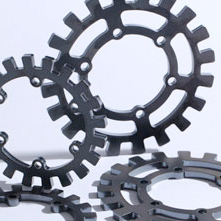 Laser Engraving is a relatively recent but fast growing process that delivers impact. Lasers are capable of etching graphics and photos in virtually any type of material and can include 3D images. 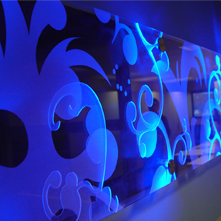 A flourescent edged perspex is ideal for engraving and gives stunning effects. The Laser engraving application is limitless from simple business cards, wall art to large exhibition panels engraving will create the visual impact you are looking for!